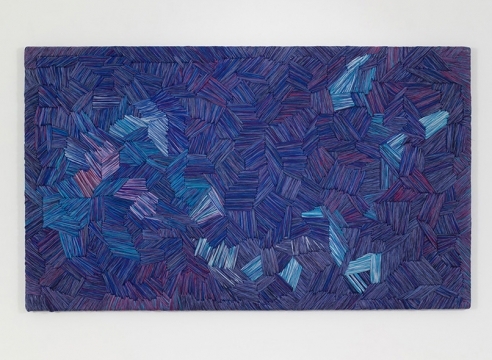 Migdalor by Sheila Hicks, is the second exhibition presented by Magasin III in its permanent satellite space in Jaffa, greater Tel Aviv since it opened in January 2018. The solo exhibition will feature a series of Hicks’ distinctive and vibrantly-colored sculptures, created from materials ranging from the traditional and natural – such as linen and cotton – to newly researched industrial materials based on new technologies. 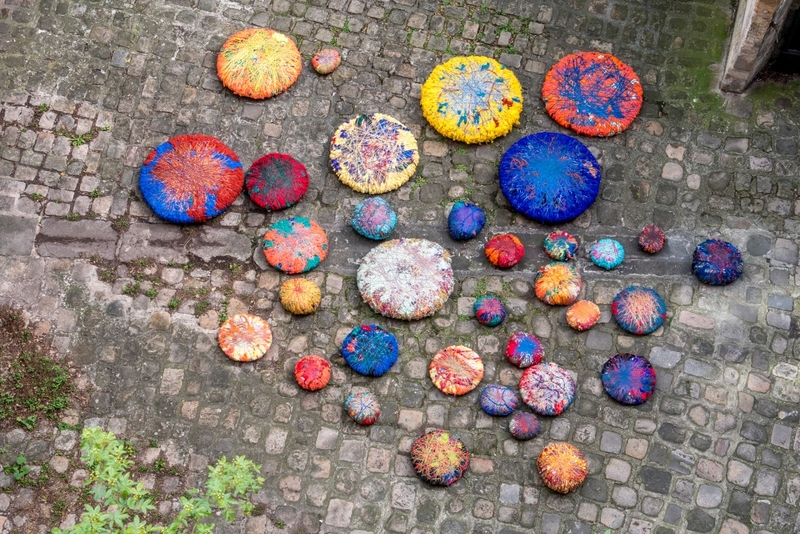 Also on view will be Hicks’ Comets (2016-2018), a bas-relief sculpture composed of circular sculptures in a range of vibrant colors, textures and shapes extended along one of the major walls. An earlier version of this dramatic ensemble was presented in the Musée d’Art Moderne in Paris this year. The third installation in the exhibition, titled Menhir (2016), will hang from Magasin III Jaffa’s double-height ceiling. It is a soft column of wrapped cords billowing in space and spilling on to the floor in elegant, fluid patterns.